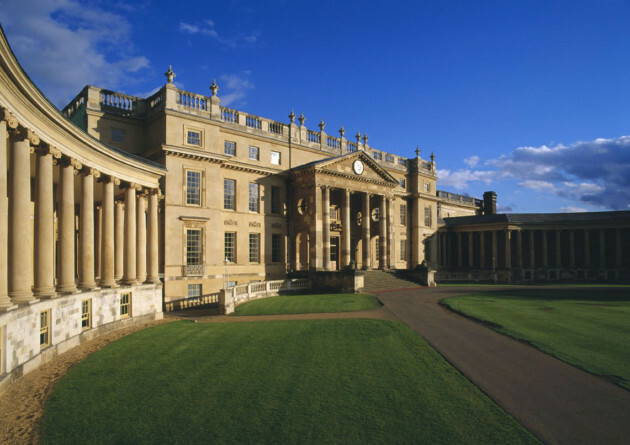 Famous during its 18th-century heyday as an important artistic masterpiece, Stowe was home to the Temple-Grenville family who, as they increased their wealth through advantageous marriages, created one of the most famous estates in Europe. The House, by the 1770s, was firmly fixed in the Neo-Classical style while the Landscape Gardens (now owned and run by the National Trust) continued to evolve as leading designers, such as Vanburgh, Gibbs, Kent and Leoni, created temples and monuments and helped create the House as we see it today. Two great sales of the contents of the House in 1848 and 1922 to recover debts ultimately resulted in selling the property which was bought by governors wishing to create a new public school in 1923 which still inhabits the building. Now owned by Stowe House Preservation Trust who, over the last four years, has undertaken two out of six phases of restoration including the absolutely spectacular Marble Saloon. New in 2006 is the Interpretation Centre giving a chronological history of the House and the Temple-Grenville family.